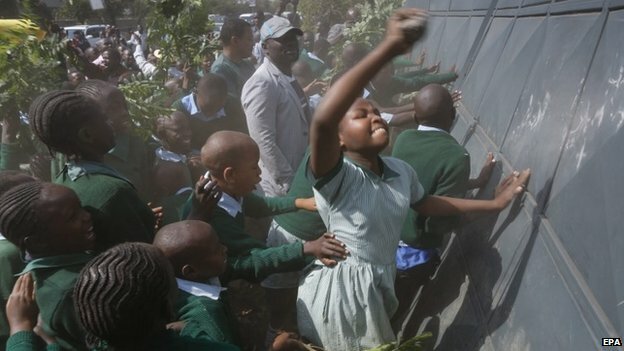 Students at Langa’ta Road Primary School in Nairobi, Kenya were tear gassed by police for protesting against the removal of their playground. The playground has been taken by a developer potentially connected to a local politician. The students protesting the loss of their playground were between 6 and 13 years old. As social media responds to the news the hashtag #Occupyplayground is currently trending in Kenya. Vickie Remoe receives Excellence in Entrepreneurship Award.